It’s a good day for some coffee! March 15, 2018 March 15, 2018 cramercaroline3 Comments on It’s a good day for some coffee! Whether you enjoy your coffee warm and eye-opening or iced and energizing, we have the drink for you. 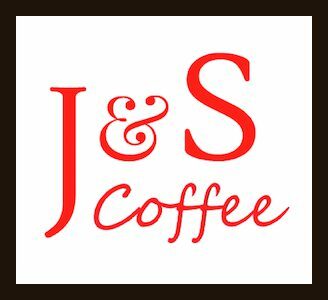 J & S starts with the freshest roasted coffee bean; roasted in-house 4-5 days a week. Our baristas are dedicated to pulling and preparing the best espresso drink to please your palette. If you wish to linger over a warm cup, we always brew and serve 2 different varieties of beans/blends and 1 decaffeinated coffee every day with complimentary refills. Truly, it is a bottomless cup of coffee and that’s hard to come by especially when the coffee is this good. As the weather warms up, we offer many cold coffee drinks with special flavors and blends, some are funky and fun and some are just plain delicious. Our cold brew is full of flavor and low on acid to provide the smoothest coffee. Come visit us, grab a scone and settle down to work using any one of our multiple outlets situated within 5 feet of anywhere you sit in our shop. Hi Steve, thank you for explaining the roasting process and advice for roasting at home. I really appreciate your expertise. Hope J & S has a cupping soon. Do you all ship your coffee beans. Used to live in Lawrence and this absolutely one of my all time favorites! Yes, Patti we can ship coffee. We sell it at the store price of $14 per pound plus the cost of shipping. Please send you request or any questions by email to steven@jandscoffee.com. Steve will be able to share what fresh roasted beans are available and the final cost. Thanks for your continued support of our craft!